The support for Magento 1 will end in November 2018. Now more and more online stores are migrating from Magento 1 to Magento 2, not only due to the end of the support period but also for the expanded functionality of the Magento 2 platform. If you face the problem of transferring the store from Magento 1 to Magento 2, let us assist you. Magento 2 provides brand new techniques and methodologies for bringing great experience for users. However, while Magento 2 is quite beneficial by using new approaches including lots of tools to create or customize themes and templates, currently there is no migration tool to import Magento 1 themes to Magento 2 directly. You need to entirely rewrite your theme and templates making them user-friendly and effective. Theme rewriting gives you the opportunity to design an original visual identity, add trendy UX / TS solutions, modify your design to the current standards. Please, consider the fact that a lot of themes are already at the disposal of users. If you need a Magento 2 theme, you can visit Marketplace or any other reputed source. You will be able to find both free and custom themes. The second step of the migration process is the installation of Magento 2 extensions. Before you move to this step, make sure needed extensions are available for Magento 2 (from your developer or other companies). To avoid compatibility issues, please note that Magento 1 extensions do not work on Magento 2. 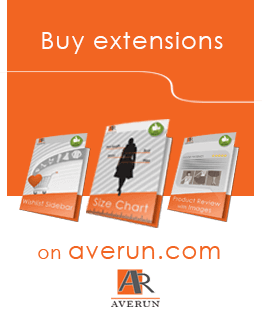 If you need Magento 2 extensions, they are available on Marketplace and other resources. In case you require some specific extension but it doesn’t exist on Magento 2 or you have some custom solution, our development team can assist you by either creating one or upgrading the existing extension making it compliant with Magento 2. The next step is data migration. Firstly, before you proceed with data migration, import your media files generated by your modules and extensions or uploaded by the users. After that shift the Magento 1 data and settings to Magento 2. ‘Magento Data Migration Tool’ [https://github.com/magento/data-migration-tool] enable to migrate data smoothly and step by step. Please take into consideration that this tool is applicable to critical data (products, categories, orders, store configurations and settings, etc.) only. If you have any custom data (additional attributes fields, modified data structures, standalone modules data, etc. ), you will need a custom solution which our development team can assist you with. On a case by case basis, your code will require either rewriting or migrating. Part of custom Magento 1 code can already be compatible with Magento 2. If it is not, there are code migration tools, for instance, ‘Code Migration Toolkit’ [https://github.com/magento/code-migration]. Sometimes migration output needs extra efforts because of the platform differences. If you are interested in our services, do not hesitate to contact us – ‘Request a quote’. We would be glad to answer your questions in the comments.